Health and wellbeing are topics that you cannot ignore if interested in consumers and societies. At the level of the individual, feeling good in mind and body is now often more than just not being ill but part of a broader aspiration to positive health and a way of showing that we can invest time and money in taking care of ourselves, important both in developed and developing economies. And from a societal perspective, there are important new public health issues rising up the agenda: obesity and the associated conditions, and an ageing population to pick up on two of perhaps the most obvious issues. It was these thoughts in mind that I decided to read two books which aim to tell their readers more about areas in health where there is a lot of energy and excitement. I started with Gut by Giulia Enders and then launched into Gene by Siddhartha Mukherjee. I will discuss my thoughts on each in a pair of posts. 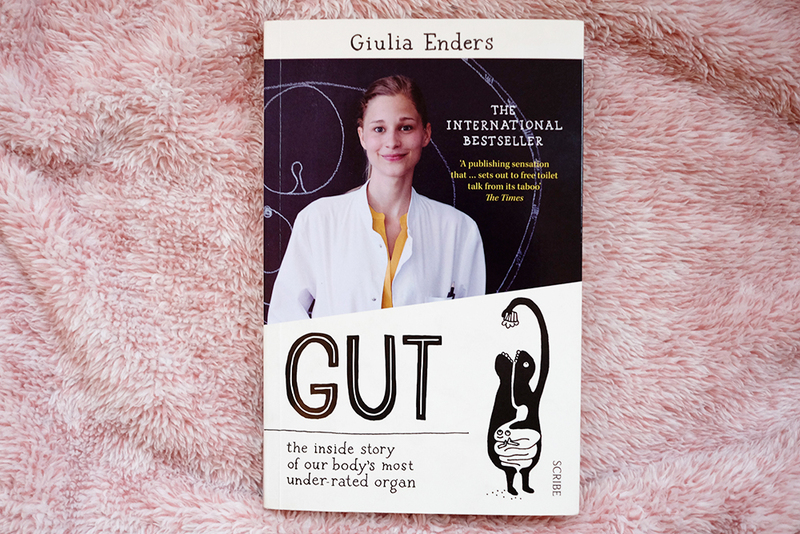 I must confess to not having a great first impression of Gut – thanks to the book cover. As you can see from the image below, in the edition I read, there is a large photo of the attractive young blond German scientist who wrote the book. I cannot recall having come across other science books, or indeed any type of book bar autobiographies, which put their author so prominently on the front. The impression of youthfulness continues. The inside blurb opens with the following perhaps somewhat patronising sentence (my italics), “In this charming book, young scientist Giulia Enders takes us on a fascinating tour of our insides.” My more objective verdict of youthfulness/immaturity of thought comes from the relatively superficial/narrow scope of discussion: Gut gives us only an overview of the basic science behind the organ and our current understanding of what is going on. Gene is very different – deliberately so – as the latter sets itself up as a history and thus has a very broad scope in terms of chronology, revealing along the way changing cultural attitudes as well as the scientific discoveries linked to the genome. I would have liked to know more what ‘we’ (in a societal/cultural sense) think about how to understand the gut and what it does for us as much knowing the hard facts. For example, I would have been interested in knowing more about how other cultures ‘engage’ with their gut and how their diets intuitively work with guts better. For example, I know that in Turkey, women will often drink a tiny bit of apple cider vinegar before their meal and kefir, fermented milk drinks, are an important of a region’s traditional cuisine. Both these products will encourage the development of gut flora, but how and why did these customs come about? And what else is there like this? And we find out that there is scientific validation for relying on ‘gut instinct’ – we are simply reflecting how closely our guts and are brains are entwined. The gut is connected to our main brain via the vagus nerve, a superfast broadband connection along which messages travel in both directions. But it would have been good to know more about how this metaphor arose. I obtained my copy of Gut from the library but I wonder on what shelf it would be found as its classification is not obvious. The blurb describes it as an ‘entertaining, informative health handbook’ – a bit of a fudge if you ask me. Is it a popular science book or is a self-help book? For a clearer example of the latter, look no further than the latest tome from Dr Michael Moseley (of 5:2 diet fame). However, despite the above observations, Gut did inspire me to action. I have been tucking into the below on a regular basis. Not sure I can tell the difference yet!